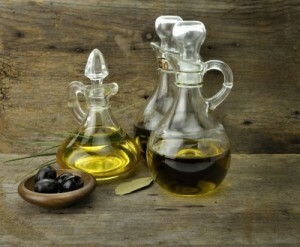 Did you know that vinegar is used for more than just cooking? It is actually one of the best products you can use to clean around the house. Not only is vinegar an environmentally-friendly cleaning product, but it is also an inexpensive cleaning product. Pull your vinegar out of the closet and put it to good use this month by trying some of the ideas listed below. Wipe the vents in your oven with vinegar to eliminate grease build-up. To unclog a sink, pour equal parts of baking soda and vinegar down the drain. Let it sit for several hours, and then pour hot water down the drain. Presto! Your sink will be clog-free! Rub vinegar on your cutting board with a soft towel to eliminate strong odors like garlic. Combine water, vinegar, and detergent in a bottle with a nozzle. Shake the bottle to combine ingredients and spray the solution on your windows for a streak-free shine! To clean the stainless steel appliances in your kitchen and bathroom, dampen a soft towel with vinegar and rub over the surface of your stainless steel appliances. After you shampoo, saturate your hair with equal parts water and vinegar. Let set for a few minutes and then rinse. This will eliminate any shampoo and hair product build-up in addition to sealing the cuticle of the hair.